In this month’s newsletter interview with Allison Hill, Director of TALK Atlanta, we were reminded of the very diverse student population attending classes. We asked some of the students about their impressions of the school. 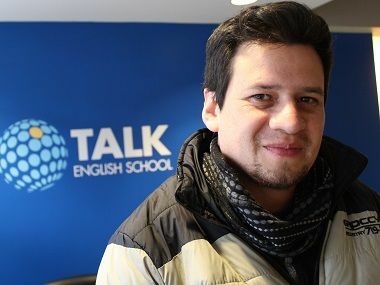 Whatever their nationalities, these student testimonials show that at TALK Atlanta, everyone feels very much at home. speaking and listening. When I started going to Talk English Schools I forced myself to be more quietly listener to organize my thoughts in order to speak well. Listening to my teacher and my classmates helped me more and got me farther in both. Now, expressing my ideas is my favorite and I feel that I’m a really interactive person with everyone. They say you don’t get better at speaking by speaking, you get better at speaking by listening. Hi, my name is Gulcan. I’m a student at Talk Atlanta. I have been here for four months. When I came to school, I was worried. I couldn’t understand, but I’m not worried anymore. I’m so happy because now I can understand. I can speak and I can write. I’m better, with the help of teachers. You’ll never feel lonely here because I made friends very well here. I learned a lot at this school and had a lovely time. 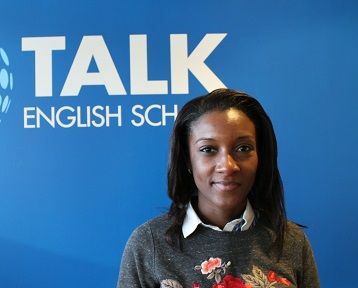 My experience at Talk English Schools was very rewarding! I moved to Atlanta with my husband who got a professional opportunity here. 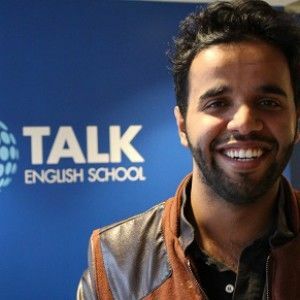 Before studying at Talk, my English was academic and I didn’t feel that I was able to have a conversation with a native speaker. I learned a lot of vocabulary and I improved my grammar. Now, I feel more comfortable when I speak. I really appreciated the atmosphere. Administrative people were very welcoming and comprehensive. Every day, the teachers encouraged and motivated students, using various learning approaches. This experience also allowed me to meet great people from many different countries and cultures. It has greatly benefited me, both in terms of language and learning about other cultures. I will remember awesome memories of it! Andres Torres, Colombia My name is Andres and I’m from Colombia. This is a great experience for me. Learning English and getting to know the beautiful Atlanta. I have the opportunity to meet people from around the world. 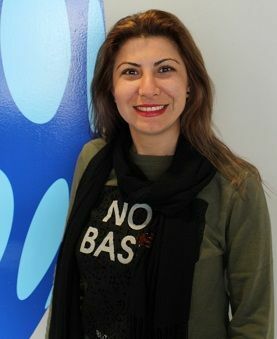 I came here to learn English because it is important for my career. A big thank you to TALK Atlanta for your kindness! We love these student testimonials from Atlanta! Thanks to Gulcan, Andres, Meshari and Sherryl and have fun improving your English learning skills!